How will China's new drug prescription policy affect pharma players? The 30% cap on drug sales as a percentage of hospital revenue has been replaced by a rational prescription of drugs. The Chinese State Council released new measures on the evaluation of tier III public hospitals’ operational performance, which include the replacement of a 30% cap on drug sales as a percentage of hospital revenue with a rational prescription of drugs. According to UOB Kay Hian, the new measures are beneficial to certain drug manufacturers as drug expenditure can now go beyond the limit when the clinical need arises. 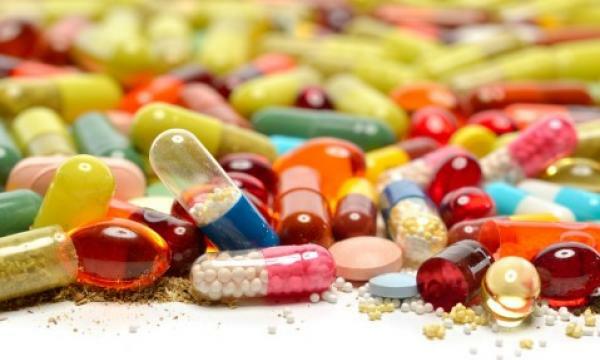 “We believe the new measures will not considerably increase total pharmaceutical drug sales but instead reallocate medical resources towards drugs for first-line treatments, and hence bring about mixed implications for drug producers in the industry,” said UOBKH analyst Carol Dou. The effect of the new policy on Sino Biopharm could be positive, as most of its existing and pipeline products are first-line drugs for clinical treatments, the analyst said. The government’s inclusion of the usage of 11-city group purchasing organisation (GPO) drugs as public hospitals’ key performance indicator could also help the company’s 11-city GPO products to expand market share in other cities/provinces outside the designated 11 cities. “On the other hand, the removal of drug sales limit should also boost sales of Anlotinib, its blockbuster drug that is included in the government price negotiation programme, as the policy will make this drug more accessible for patients. In addition, the company has obtained new drug approval for Lenalidomide (a drug for multiple myeloma widely-used globally), further strengthening its oncology drug portfolio,” Dou added. HEC Pharm could also benefit from the new policy. The promotion of essential drug usage should boost sales of its key product Oseltamivir (which accounted for around 90% of sales in 2017-2018), as the blockbuster was added to the 2018 version of the National Essential Drug List (NEDL). The Guangdong government also loosened the reimbursement criteria of Oseltamivir, which should also provide a boost to its winter sales, the analyst added. The effect of the policy on China TCM is mixed, on the other hand, UOBKH noted. Its finished drug segment could benefit, especially for the exclusive products that have been newly included in the NEDL. However, its herbal pieces and granule products will no longer enjoy the advantage of being exempted from the 30% drug sales limit at public hospitals. Meanwhile, Shineway Pharma’s prospects could be clouded by the new policy, which will indirectly remove the relative advantage of TCM granules, of which sales used to be partly underpinned by the exemption from drug sales limit. Moreover, Shineway is now no longer the sole PRDL qualifier for TCM granules in Hebei, as Yiling Pharma has been newly included in Hebei’s PRDL for its TCM granule products. The company still has exposure to the risk from the national adjuvant drug list, which has now become one of the key criteria in measuring tiered hospitals’ performances, Dou added.